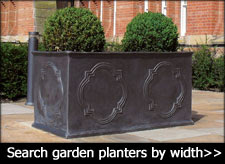 Classic Stone Planters are the most durable and hard-wearing range of planters that Riverhill Garden Supplies stock and are covered by a 10 year guarantee. 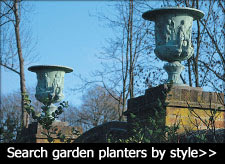 The Old Stone Jardineer is available in three sizes and will play host to most planting schemes. Specimen trees are the obvious choice under planted with purple, red and white annuals to complement the natural stone. 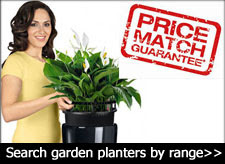 The Old Stone Jardineer represents excellent value for money. 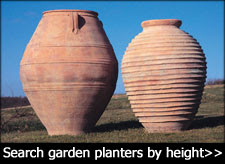 The Classic Old Stone Cylinder is available in one large size. For best results keep the planting scheme simple, why not frame an entrance with a pair of Old Stone Cylinders planted up with clipped Bay trees? An impressive Imperial Old Stone Trough, Ribbed Cone and Alpine Trough complete the Old Stone range.